Susana says ~ "Tattoo artist born and raised in California. I love to work with a lot of colors and different mediums when it comes to painting. 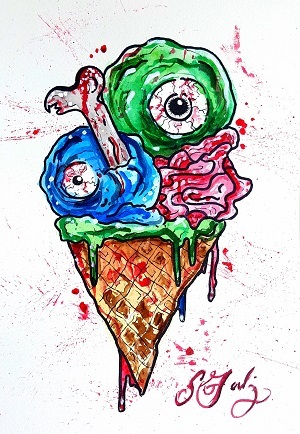 Eye Scream Zombie is my interpretation of how creative a mind can be."